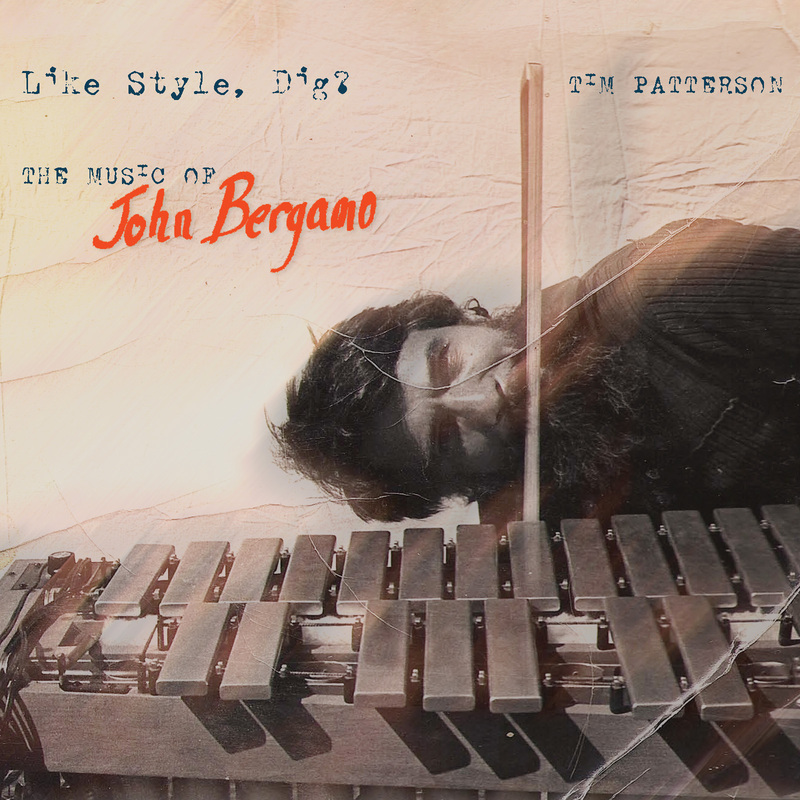 John Bergamo (1940–2013) was a composer and performer at the forefront of the exploration of the timbral possibilities of percussion music. Forging the vocabulary of bowing, harmonics, and unconventional mallets into a body of solo and chamber works, Bergamo significantly expanded the percussion repertoire while performing and recording with a diverse array of artists from Frank Zappa to John McLaughlin to Ringo Starr, and appearing on eighteen film soundtracks. On Like Style, Dig?, percussionist and student of Bergamo, Tim Patterson, presents an authoritative and authentic compendium of his teacher’s most significant works. Ranging from the twelve-tone transformations of “Interactions” to the explorations of the timbral possibilities of the vibraphone in “Three Piece for the Winter Solstice” to the amplified cymbals of “Blanchard Canyon,” Patterson’s recording of Bergamo’s works is definitive and works as a companion to his written work, A Guidebook to Performing the Percussion Works of John Bergamo, which is available as a free PDF at johnbergamoguidebook.com. The book contains a wealth of knowledge on Bergamo and his music. Taken together, the album and book acknowledge and honor Bergamo’s place in the world of original percussion music. "Patterson does an excellent job in paying tribute to ... Bergamo's creative output, simultaneously creating a valuable resource for percussionists looking to perform or research this repertoire. ... The performances are confident and have been captured with much precision. The recording is clean and crisp, providing a very honest impression of the sound space. ... This CD is an admirable tribute to Bergamo's work, brilliantly showcasing a number of pieces for Western percussion while also providing future generations of percussionists with an extremely valuable resource."